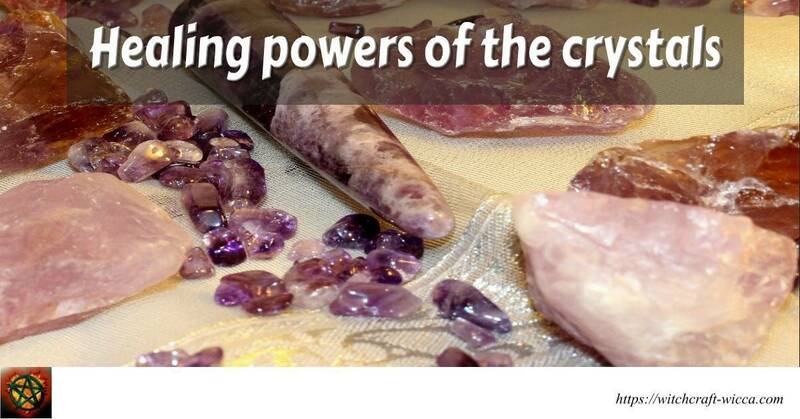 Crystals Healing is a means of alternative medicine that has been in existence a very long time. Crystals are semi-precious stones that are naturally found deep in the earth’s surface. These stones are believed to have various powers in relation to the earth’s cleansing energy. The individual healing power of a particular stone is believed to emanate from its shape, color, markings and other physical properties. That depends on certain cultures that the healing crystals are used including certain African cultures, Chinese cultures, Native Americans, Hawaiians, among others. However, the healing crystals are becoming popular because most people use the crystals as jewelry, they are used in health spas and at New Age health clinics and sometimes incorporated into massage related practices; The use of crystals in such atmospheres may help induce relaxation. Different types of crystals are said to have specific types of healing powers. However, most practitioners of healing crystals claim that they work on metaphysical abilities; how they are chosen, where they are worn, who places them there makes a big difference in the healing process. However, healing crystals are not medicine they are just an aid for a clear medical diagnosis and they aid in faster healing. Therefore, after selecting a certain crystal, the healer may position them on a certain part of your body according to the energy or ground it requires for the healing to be effective. That energy or grounding grid is also known as the chakra. The healer may also place the healing crystals around the body to try to enact an energy grid which will attract healing energy. However, scientists view the crystals as mere placebos but there’s another school of thought that argues that the power of crystal healing lies in cognitive bias. That means that individuals who believe it sees facts that back it up as, the healing of crystals may also be used on animals, although some veterinary associations are strongly against it. • Healing crystals can be used while practicing Yoga. • The healing crystals can be used during meditation by holding them serenely. • One can also decide to design a kind of sacred place in an ideal place for the healing crystals. • You can also carry the crystals with you in your handbag or pocket away from prying eyes. • You can also use the healing crystals in a crystal pendulum. • Rose Quartz: The pink colored Rose Quartz brings out the power of love in its wearer. It is also effective in bringing luck in marriage. • Citrine: The crystal is for the young at heart, as this crystal helps you to live at the present moment. It also assists in bringing in more money in your business. • Carnelian: The orange colored Carnelian is for the creative people among us. It also assists anyone who is striving to be relevant in the creative industry. That healing crystal is good for creativity, steering passion, restoring motivation and confidence. Carnelian is also effective for athletes. • Aventurine: The healing crystal brings about new chances. Wearing this healing crystal is said to attract that needed fresh break in life. • Quartz Crystal: The Quartz Crystal is for the people who love worrying. This healing crystal has mind clearing properties. Therefore, if your mind is preoccupied and full of clutter then this is the perfect crystal for you, it also helps in balancing the body. This healing crystal is made of Silica. • Shungite: Found in Russia, it is used as a means of protection against Electrical Magnetic Energy. • Turquoise: The healing crystal aids in healing, It may also be used to bring in good luck or for protection. • Smoky Quartz: The healing crystal is the reliever of negative and bad energy vibes; it acts as an effective protecting shield against negative energy. It also helps in getting rid of old and dormant energy that might be hindering your success. For a more effective outcome, the healing crystals may be used in conjunction with each other. That ensures that you get the best out of both crystals. For example, a mix of Black Tourmaline and Smokey Quartz banishes fear and bad dreams. To create energy, power, creativity, and vitality one can mix Carnelian and Citrine. Other methods of healing that use alternative medicine or complementary healing similar to using crystals for healing include magnet therapy, energy medicine, colour healing and many other methods of pseudo-science. The healing crystals can be carried around using various methods these include palm stones; crystals infused water bottles, crystal healing jewelry.